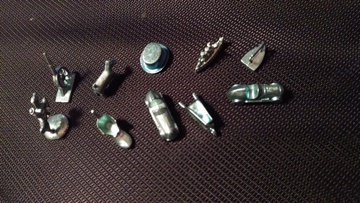 A selection of monopoly board game pieces and items, including replacement parts are shown below. Links are provided to amazon.com where you can find out more about these items, and if you like, purchase them. Scroll down to see all the items. Replenish your reserves, or have your very own money fight! 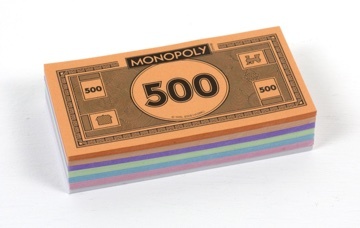 Monopoly money has a variety of uses, and comes straight from the Bank of Hasbro! 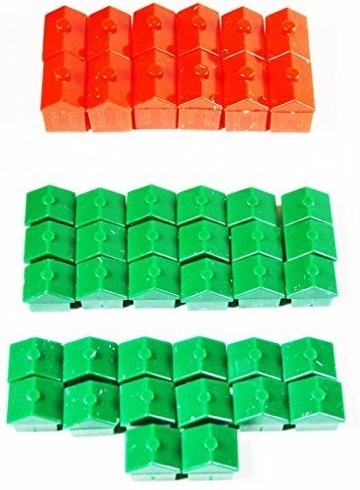 Replacement Monopoly Houses and Hotel Set of 32 Houses 12 Hotels. Great for game replacement or crafting or art project. 1996 VERSION MONOPOLY REPLACEMENT TOKEN AND DICE SET RACECAR, THIMBLE, BATTLESHIP, TOP HAT, SHOE, WHEELBARROW, IRON, AND SCOTTIE DOG! 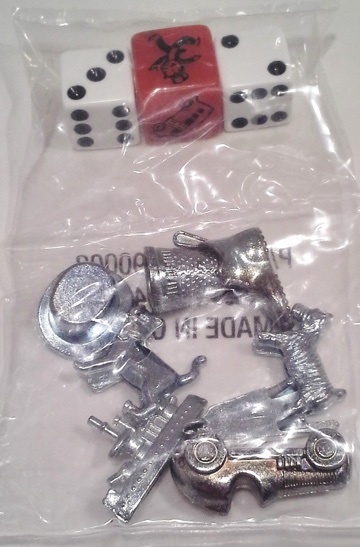 Monopoly tokens, speed die, & two standard dice. Speed die speeds up monopoly game! From a newer 2013+ monopoly set. Which is your favorite? Racing car, Battle ship, Tophat, Ballet shoe, or cat? 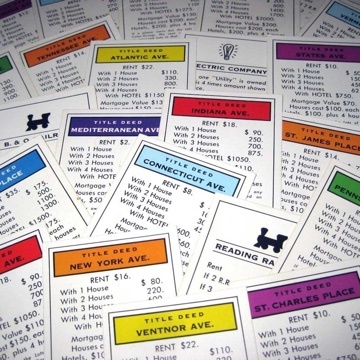 SET OF ALL 28 TITLE DEED CARDS FROM 2006 VERSION OF THE GAME. 22 PROPERTY DEEDS, 2 UTILITIES, AND 4 RAILROADS.